Recently, students at Drake University have had qualms with the school's choice of single-ply toilet paper. Although the Drake population is dissatisfied, the thin toilet paper may have environmental benefits. According to The Times-Delpic, Drake University's student newspaper, students across the college campus have voiced their negative opinions of the single-ply toilet paper the school offers. Specifically, the Drake Student Senate has gotten grief about the toilet paper on the Student Services Facebook page. "It's sort of been a big issue because it had been brought up a lot even in my last year when I was on Senate and even this year," Ekta Haria, the Senate's student services committee chair, told the source. The manager of Facility Services told Haria that the school went with the thin paper because it clogged Drake's toilets less frequently. 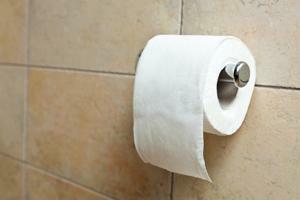 The University would have to upgrade the entire sewage system to make way for thicker, multi-ply paper. Despite this expense, students on the campus want change. The source cited Coleby Hanisch, a freshman at Drake, who claimed that the single-ply material feels like sandpaper. He said that he would completely support a movement for a better product. According to the source, the thin toilet paper at Drake is designed to cut back on waste and keep toilets from clogging. Each roll has 1,000 sheets and no core, providing more paper per roll. Switching to two-ply paper would make an environmental and financial dent, because the rolls would have to be replaced more frequently. "It was decided upon that, you know, we wanted to be a green university as much as possible," John Selin, Assistant Director of Custodial and Grounds at Drake, told the source. The New York Times also noted the environmental cost of the thick toilet paper popular in the United States. Though soft, thick and hot-air-fluffed paper is comfortable, it is made through the harvesting of North and Latin American trees, and environmental groups have called out toilet paper manufacturers for their destructive methods. Fibers from these trees gives toilet paper the softness you can't get with rolls made from recycled material. "No forest of any kind should be used to make toilet paper," Allen Hershkowitz, waste expert from the National Resource Defense Council, told The Times. According to the source, countries beside the United States aren't as choosy when it comes to their toilet paper, willing to use rough and recycled material. Students at Drake University may also have to be satisfied with less-than-fluffy paper.